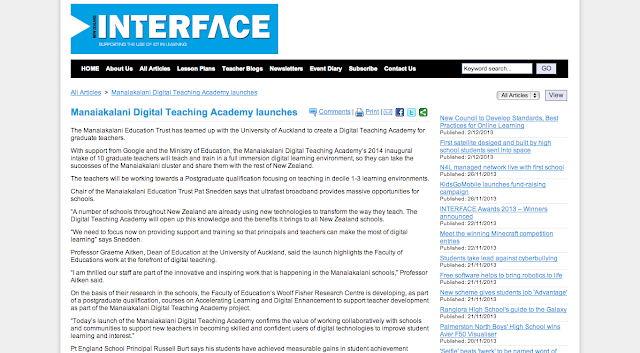 This article from Interface Magazine talks about the launch of the Manaiakalani Digital Teacher Academy. 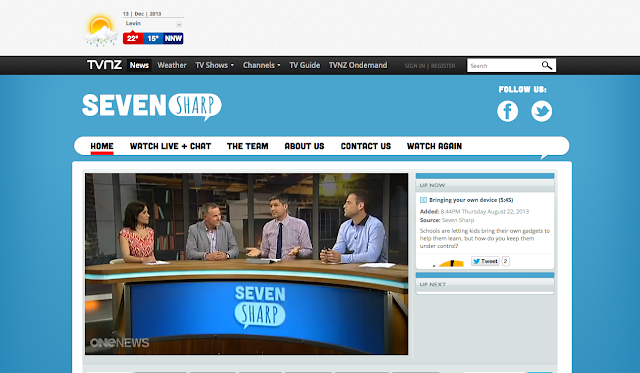 We've recently celebrated the launch of the brand new Manaiakalani Digital Teacher Academy. 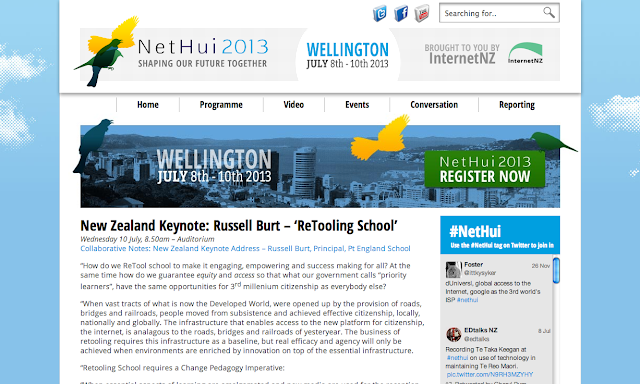 Here is a video montage of the launch and a link to the speech by the Associate Minister of Education, Nikki Kaye. 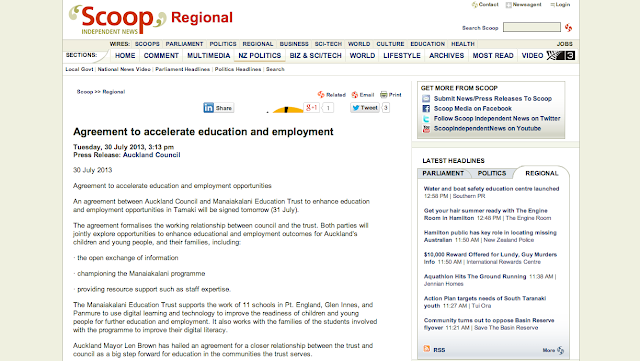 Auckland Council and the Manaiakalani Education Trust have made an agreement to accelerate education and employment opportunities, read more about it in the article below. Pt England School hosted Mayor Len Brown on June 28th as this historic agreement was signed. 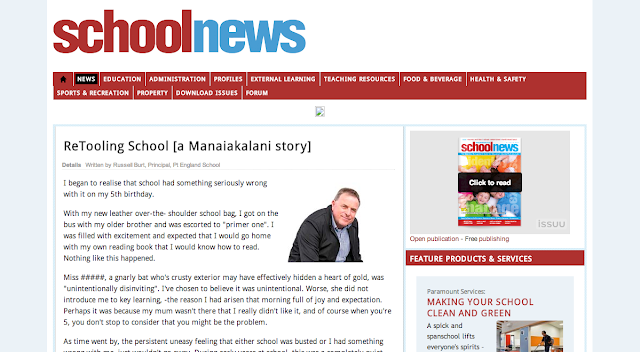 Russell Burt, the principal of Pt England School in the Manaiakalani cluster, has contributed an article to the SchoolNews educational magazine, detailing the story of the Manaiakalani Education Trust, along with his vision for the future of education. Here are a couple of videos by the Telecom Foundation about the Manaiakalani Education Trust and their involvement. Recently, the Manaiakalani cluster was visited by Will.i.am, and he made a generous donation to the Manaiakalani Education Trust. 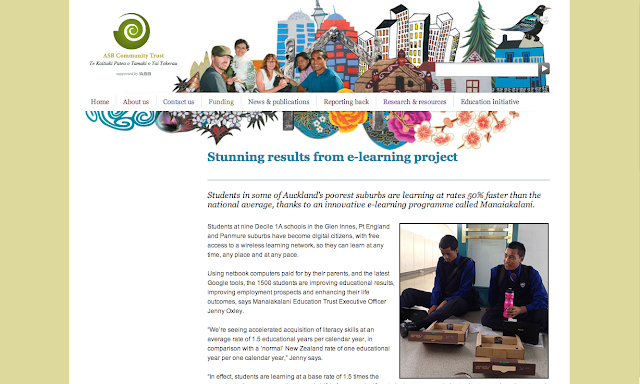 Manaiakalani is part of the Learning and Change Networks in 2013 and Dr Jean Annan has written this story about the Manaiakalani 'Journey'. 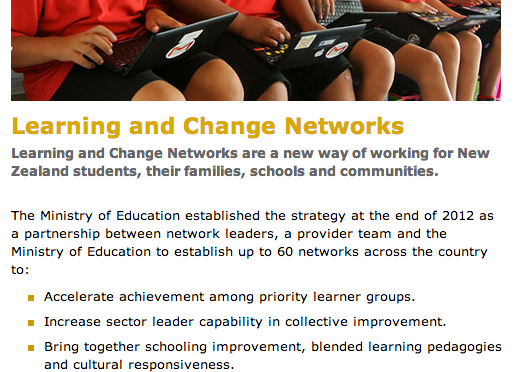 This document relates some of the events and activities associated with Manaiakalani, a cluster of schools and a community that has been established through a process of learning and change.The operation of the cluster provides a good example of the way a group of schools can work together to understand the learning environments of their students and community. It illustrates how, on the basis of information gained from multiple and varied sources, teaching professionals and community members can be successful in creating an educational environment for students to engage in learning activities that are relevant to their current and future lives.